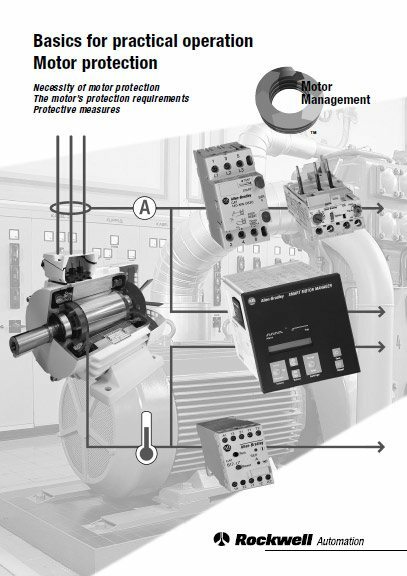 In line with applicable standards, every motor manufacturer guarantees that critical machine parts remain within the permissible temperature range during rated operation and that short-term overloads do not damage the motor. 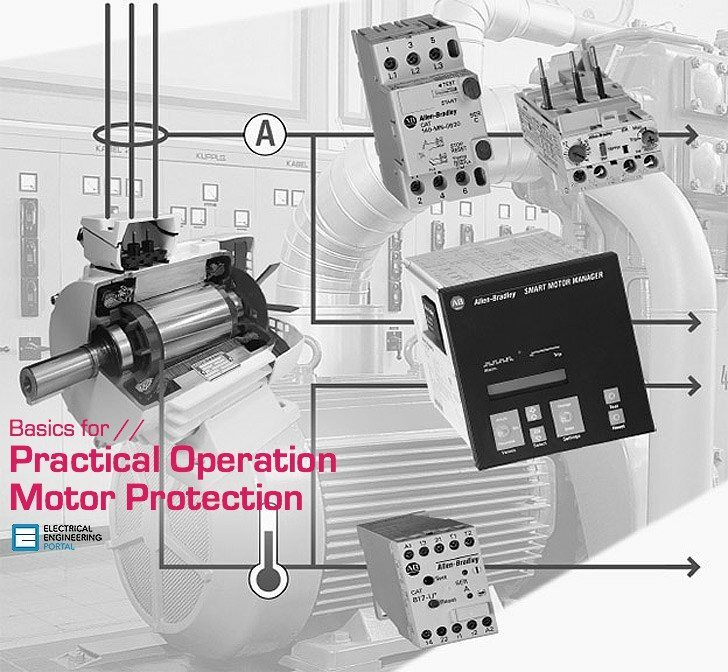 The motor protection device, on the one hand, has to allow full use and thus the efficient operation of the motor and, on the other hand, react quickly enough in case of an overload. Electrical motors are energy transformers. They take in electrical energy and transform it into mechanical energy. This process causes energy losses, which takes the form of heat. Current-independent losses: they are practically constant, this means they also occur at no-load. Current-dependent losses: they increase with load, i.e. with increased current. The power loss increases approximately in proportion to the square of the current . The latter is almost proportional to the motor’s slip. According to Figure 2.2.1, for a stalled , static rotor, the maximum starting current in the stator is 4…8 In. Figure 2.2.1 – Squirrel-cage motor started direct on line (DOL). During starting time tA, a high motor starting current IA flows. It does not cause excessive heating if the starting time remains below the limit specified by the motor manufacturer, which is usually 10 sec. The short-term, unbalanced starting current peak can be ignored. The total input power is transformed into heat. If the rotor remains stalled, the temperature of the stator and rotor winding increases considerably, as part of the heat can only flow into the motor casing after a delay. If the motor is not switched off in time, the stator and rotor winding can burn out. The heat losses generated reduce with increased speed. After run-up, the temperature increases further in an e-function, as shown in Figure 2.2.2, until it reaches final temperature level. For a higher load, the final temperature will be correspondingly higher. Temperature increase in the motor winding. Due to the high starting current IA, the winding’s temperature increases during starting time tA very quickly. After the start, the temperature drops temporarily, as heat is transferred to the motor body. If the rotor remains stalled, the windings reach their temperature limits very quickly. Electrical motors are thermally non-homogenous systems. The windings, stator iron and rotor have a different heat capacity and heat conductivity. After start and during load changes, a temperature compensation takes place between the different machine parts. The heat flows from the hot winding to the cooler iron until a temperature balance has been achieved. Thanks, i have learnt a lot from the sites you post for downloads, Really helpful. I cannot download the documents from your site. When I click download, it does not download the pdf document. Can you please tell me how to solve this challenge. This guide as well as all other documents are stored at Box.com, so when you click to the link, it goes to the Box where you have blue button Download.